Institutional Archives - Page 2 of 2 - Tait & Associates, Inc.
At TAIT we have designed a number of church’s, schools, and major universities to meet the needs of the community. Our team is committed to making a positive difference in our communities. As such, we have designed and built a number of institutional developments for various organizations to gather, worship, learn, and grow. From Cal State Fullerton’s El Toro Campus in Irvine, CA, to The Crystal Cathedral, Orange County’s newest Catholic Cathedral, we at TAIT have positioned ourselves to continue to move these communities in the right direction. 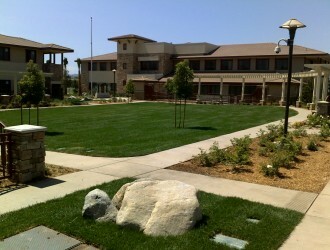 The Tustin Family Campus is a four-acre campus consisting of administration and housing buildings for the Orange County Social Services Agency. TAIT provided civil engineering and design services for this $23 million dollar project.